We listened to C.S. Lewis’s The Magician’s Nephew on our holiday in Ireland. It’s brilliant. I love the way Lewis puts literary and mythic flesh on Biblical verses and ideas—Aslan singing Narnia into being; Aslan touching his nose to dumb beasts to give them the power of speech; Fledge telling Diggory, “Aslan knows what you want, but he likes to be asked;” Diggory told by Aslan that he could have stolen the apple for his mother, instead of waiting to be given it, but that it would not have been a blessing for either of them. 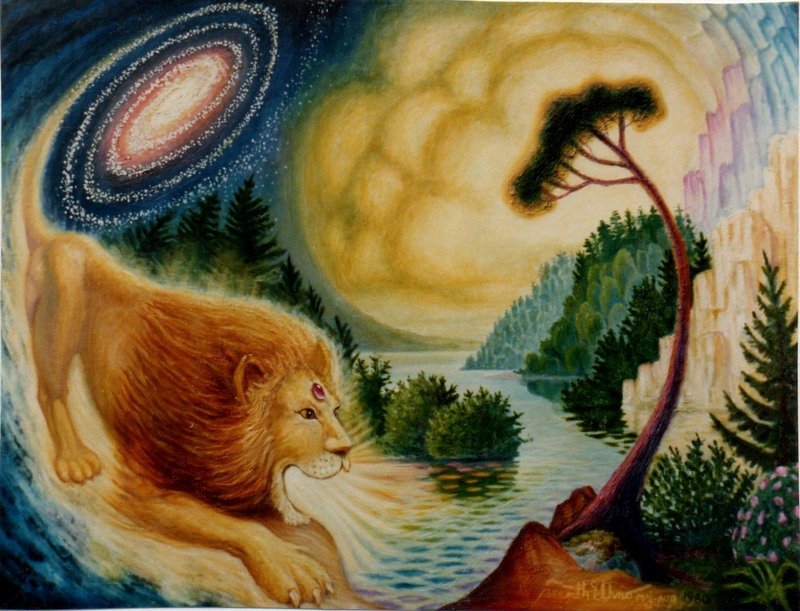 The Chronicles of Narnia are probably the best work of literature (among those still widely read, as Paradise Lost or The Divine Comedy are not) that directly clothes Biblical truths with the garments of the imagination and poetry. That transmutes the Bible to literature. I grew up in India, and did not grow up reading The Chronicles of Narnia.I think I first read them when I read them to Zoe, 11 years ago. I was spellbound, and fascinated by Lewis’s pastiche of Greek and Nordic myth. And felt sad and wistful. I loved those myths too, and would have loved to write something so good, but felt that I had not been as soaked in myth, and literature and poetry as Lewis and Tolkien had, so could not. And now, ten years later, I think: So what if I cannot write something as good as The Chronicles of Narnia? Lewis and Tolkien loved mythology and ancient cultures and ancient languages and epics and literature and poetry. What they read shaped who they became. And what they wrote. And for us who do not have their advantages of education, literary friendships, intellect, time, and discipline? We will write different things that will be shaped by different influences. Lewis and Tolkien have sung their song. We will sing ours, to a different generation, and a different, if smaller, audience. For instance, I read voraciously until I was married, and then have steadily been reading less, though this has picked up again now that both girls are teenagers (yay, on both counts). But have certainly read hugely less than Lewis or Tolkein. But I have had other influences. Suffering. Depression. Disappointment. Failure. (And all these are splendid teachers!!) Having children. An initially difficult, now nourishing and happy marriage. Gardening. Intensive Travel. Wide friendships made, lost, some regained. Intense involvement in church life. The lessons in running a smooth household. Immersion in art. Many non-literary intellectual interests. Living for over a decade each in three continents. Growing up as a member of a religious minority (Christian in India) in a non-Christian country, and then living as a member of an ethnic minority in America and England. And these experiences and influences have been hand-picked for me for God to speak to and nourish the audience he has hand-picked for me. Lord, give us the grace to use our talents well to be a blessing in the lives of as large an audience as you please to give us. Discovering your Unique Voice as a Writer or Blogger; Or, who’s afraid of C.S. Lewis? I like the way you categorize your influences. Thanks, Kimberley (I love your dog), Kim and Angela (Bellaverita). Kim, but is it as satisfying to know your children write well as to have written well yourself? For me, it wouldn't be so! I love this, Anita! We all have “experiences and influences hand-picked” for us. So interesting to know that Milton struggled with “how little” he'd written, then surrendered his worry to God. I have spent the last 23 years bringing up my children, and writing along with it. I have not the voice of Lewis, or Tolkein, but I have three children who are all excellent writers. I homeschooled them, and taught them all. My daughter is about to start he doctoral studies in September. My youngest is about to begin his studies at university. If I had read and written more, perhaps I would not see those things today. We all have our callings, don't we? You speak exactly to the place I find myself in at the moment. I'm learning to be content with where I've been, where I'm going, and who the Lord decides to take along with me. Thanks for the encouragement, Carolyn! Thank you. Dinner sounds lovely. Someday, soon, I hope or you can come to Western Pennsylvania. See the Amish, our lakes and mountains. Ah Mollie, why tea? Come over and have dinner with me. “Every thing in our life shapes us. It is part of God's plan.” Indeed! My writing journey has felt slow to me. I have been bogged down with life at times. I have been mulling the themes you addressed today. I think Anita, I need to save up money for that cup of tea with you. I just finished reading a fiction book that shows fallibility in humans, yet strength in overcoming it. It isn't exactly how I would like to write in the technical sense of actually using swear words and the Lord's name in vain, but the story is so real. I want to write about struggles and sometimes people don't come to the Lord by the end of the novel. I looked at Christian fiction books yesterday at the book store, thinking how when I'm published I don't want my books to be on that bookshelf, although I write with a very Christian bias. I have to find the style to reach more than the Christian audience. Every thing in our life shapes us. It is part of God's plan. We were created to do good works for Him.-Ephesians 2:10. Now to be content to know we are not in control.